A shadowy flight, into the dangerous world...of a man who does not exist. Just wanted to stop and pay homage, to the man.... and car that helped me through my childhood. Often times we wait till people are dead, let's do it while they are still alive! To me, this was and still is.... the greatest car related show to ever grace the airwaves. A few of my favorite episodes, "Knight of the juggernaut", "Goliath", and KITT vs KARR. This theme still gives me chills, over 30 years later . Remember the cheap Hollywood detective, who lived in a trailer, and wore polyester suits? He always solved the case, but never got paid, and usually got beaten up in the process. James Garner knew how to throw an F-Body around. I must admit, never heard of the guy. I googled him, and still don't know him. I'm only 38, so that may play into it. (GASP)...blasphemy!!! I remember it being automatic, that was one show that could not be missed. To this day, I still remember many of the episodes. Michael knight is the only guy I know of that wears a leather coat in the summer, all while remaining undefeated in hand to hand combat. Only other character that wears a leather jacket all the time is Negan from the Walking Dead, which happens to be my current favorite show. Plus I don't think he's had his *** kicked either lol. Your 3 favorite. ...are the best 3. Nice one, but you would do well to review this footage. 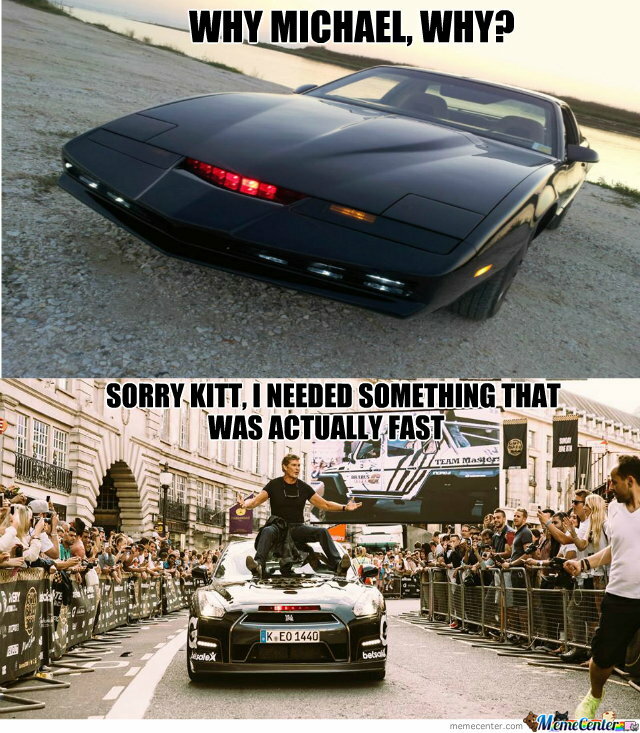 It's been reported that KITT has trapped 177mph in the 1/8th. Also, only car I know of that can go around 90 degree corners while running 125mph lol. I nearly cried when KITT got dumped into the acid, it made it even more sad to hear KITT cry out for Michael to save him. But On the flip side, I think when Bonnie rebuilt him..... that was when super pursuit mode debuted (the best mod KITT ever received). The other two scary moments for me were in knight of the juggernaut.... and goliath. Lol at stalling for the bath! The show was called the Rockford Files, and it ran on TV from 1974 to 1979. It was consistently ranked in the top 10, but James Garner walked away from the show after 6-seasons. The series was in syndication for years. Garner drove a Firebird in the show, and performed all of his own stunts, including his famous "J" turn. Last edited by ZigZagZ; 02-11-2018 at 09:04 AM. The show was called the Rockford Files, and it ran on TV from 1974 to 1979. It was consistently ranked in the top 10, but James Garner walked away from the show over after 6-years. 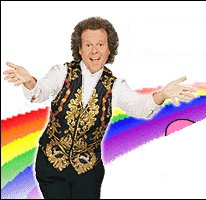 The series was in syndication for years. Ahhh...ok. I've seen that show before, didn't watch religiously... but did see it. That guy was definitely a good driver, although seeing him do the neutral drop... and the j turn, all I can think is...poor transmission lol. Garner trashed a lot of Firebirds on that show, but not as many cars as what the Dukes of Hazard went through. Garner's knees were giving him problems. He collapsed on set and that was the final straw. As for Knight Rider never saw it. I was an A-Team and The Fall Guy viewer. Rockford was awesome. The easygoing nature of the 70s comes through in each episode even when the chips are down. if you don't mind me asking, how old are you? Tough to imagine a 40ish year old guy never watching knight rider (as a kid). I watched some A- team, fall guy, and even some air wolf (never much off a fan of it though). Agreed. Also liked Magnum PI, Cheers and Hill Street Blues. Always thought KR was too cheesy. Quick Reply: A shadowy flight, into the dangerous world...of a man who does not exist.